Vera Constantanieau is a runner-up in the WOW! 2009 Winter Flash Fiction Contest. If you haven't done so already, you should check out her award-winning story, "Ten the Hard Way." 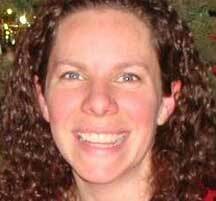 Vera’s Bio: I live in Copper Cliff in northern Ontario, Canada with my husband Ralph. We have one daughter, Chloe. The easiest thing in the world for me to do is to spin a yarn about the lives of my characters, but ask me about me, and I will stammer that I have been writing for fifteen years. The truth is I began writing when I was five years old; my first project was a cooking show script, spoken in gibberish which I pretended was French, as I concocted mud pies. Currently, I write a humor column, From the Porch, published weekly in a Canadian newspaper. My work has been featured on CBC radio, Canada’s national radio broadcast, I have published features and personal essays in Canadian magazines and had short stories included in three anthologies. In the fall, my novella Diamond Day will be included in a new anthology along with several northern Ontario writers. I read, I write, I breathe… it’s all connected. Read Vera's prize winning story here, and then return for a conversation with the author. WOW: Congratulations on placing in the WOW! 2009 Winter Flash Fiction Contest! Can you tell me more about your short story, “Ten the Hard Way”? How did you start this story, or what was your inspiration? Vera: I wrote this story in an attempt to portray a woman acting purely on physical attraction, and then, have her pleasure in the resulting relationship eroded by the realities in his life, wife, children and his basic dishonesty. I wanted her to end it, as she began it, for selfish reasons. WOW: What was the biggest challenge you faced and overcame while writing this story? Vera: Allowing the woman to be sexual and selfish without trying to cushion the reader with some kind of apologetic behavior on her part was very difficult. The challenge was to keep myself from caring whether the reader liked her or didn’t like her. To let the character create the response I thought this spare style worked to keep her relatively one dimensional. WOW: I see from your bio that you have variety of writing experiences. Is there any particular type of writing (fiction, non-fiction; novella, flash-fiction; etc.) that you prefer to write? Vera: My column is creative non-fiction and for fifteen years it has been very satisfying to write, but I love fiction. With fiction I can manipulate the characters, take them to extremes, rescue them from the resulting mess, it’s all up to me – that’s power. WOW: What excites you most about writing? Vera: The development of an idea into a full blown story is exciting. Using the characters to support the idea, throwing in just the right mix of quirks and truth, raising the tension level to capture people’s attention, and supplying a moment where I hope they will gasp either in surprise or pleasure, and sometimes if I do it right, with laughter. WOW: The twist in your story definitely grabbed my attention because I didn’t expect it. What advice do you have for aspiring writers? Vera: Whichever type of writing you choose, read as much of that as you can. Read both the good and the bad. Learn to recognize what works and what doesn’t. Above all I think you have to be fearless, not everyone will like what you write but if you do then likely someone else will as well, stay true to your own style. WOW: That’s great advice. Writers certainly do have to learn to be fearless! Thank you, Vera, and again, congratulations! I am finding myself liking to write more and more. It was not supposed to be this way. I stumbled into writing, more or less, to keep my mind agile and to provide something to do in between job applications and job searches. It still does all of that for me, but now too, it opens a lot of little doors for me and gives me room to try different things. I always was somewhat of an explorer. After all, I have always wanted to be an archaeologist and teach others about different cultures and global issues. At the same time, I did not want to be confined to one subject area. The interdisciplinary linkages between history and science drew me in, and that's where I found myself, exploring the great divide between subjects, between halves of the mind. Now, I find myself doing the same thing as a writer. In the past few years, I've blogged, written a book review for an anthropology journal, edited for a science association newsletter, completed some freelance writing on all sorts of topics from math to archaeological sciences (to a diversity of predetermined by the editor topics). I have performed research, learned how embedded hyperlinks work, and how to insert comments and track changes. In the process, I have explored different academic subjects and genres of writing, and have found not only another way I enjoy exploring, but have explored a little bit of what makes me who I am and do things that I do. I do not like to be confined; I live to be free. I love switching between editing someone else's work and writing my own. I like how I can be reading about the life of a biochemist one minute, then being able to write about algebraic concepts the next. The freedom of writing themes, topics, and styles helps me dabble, as I am not relying exclusively on writing to pay the bills, but maybe someday, I will. So, now, I think when asked, I'll say that I am not only an anthropologist who is looking for employment, but a novice writer too. That said, this summer's goal is to get started on a book idea I've been sitting on for more than 2 years and watching idly as it evolved in my notebook from an article to something more. It's something a self-proclaimed writer I tutor with encouraged me about doing the other day when he was getting me to open up about what I think about. It only seems fitting to explore this interdisciplinary topic academically, intertwining my academic discipline of anthropology, with something I am finding myself more able to do and did not give thought to before, writing. Not to mention, it has bothered me sitting on this and not doing something about it beyond bookmarking websites and articles on my computer for use as a guide for writing proposal letters or as an academic source to reference. Anyways, sometimes, a blog post has to be a little introspective I guess. Hope you've had a nice weekend and find some way to explore this week. Thanks for helping me find a new niche for myself over the past year or so. I've learned so much from you all (as I explore more or less uncharted waters myself), and I definitely look forward to learning more! A friend once asked me how many books I've read. Wow. I can't even begin to imagine the number of books I've read. Both of my parents were teachers, so I grew up in a family of readers. During elementary school, I remember trekking the block and a half to the library on Saturdays. I read every Nancy Drew book, some of them twice. By junior high and high school, my literary tastes changed, and I read everything required in school as well as multiple mysteries my parents had on the shelves at home. And once I went to college, I majored in English, so naturally, I read non-stop! But the next question from my friend caused me to pause. "Have you ever read a story that saved your life?" Hmm. Well, there's... No, what about... How do you answer this question? I've read many books that resonated with me or what's happening in my life, but did these books save my life? It depends on how one defines 'save'. To Kill A Mockingbird saved me from spreading prejudice and injustice. The Great Gatsby saved me from greed and misplaced love. Macbeth saved me from using ambition in the wrong manner. Still, I'm not sure if I answered my friend's question. Is it possible for a story to save someone? Or do we simply relate to the ideas within the pages and apply it to our lives? Depending on where you live, you might call your submarine sandwich a “hero” (New York City area), a “hoagie” (New Jersey and Pennsylvania), a “grinder” (New England), or a “Cuban sandwich” (Florida). This kind of information--the words and phrases used in distinct regions of the country--will be included in a new edition of The Dictionary of American Regional English next year. The compete series of five volumes will contain abut 75,000 entries, and will eventually be put online. When my family moved from the East Coast to the West Coast, I can remember my new friends sniggering at my use of the word “sneakers” instead of “tennis shoes”. (Were we playing tennis? No. That still doesn’t make sense to me.) Some other regional word differences I can think of are soda vs. pop, sofa vs. couch, and iced tea vs. sweet tea. Apparently, there are many more! Fiction writers may need to know about these regional variations, in order to create characters who speak the way they really would. I just think it’s fascinating to learn about the diversity of our language. What regional expressions did you grow up with? Now, what was it that I was typing? The calm summer months. From my youth, I recall the lilac blooms that heralded the oncoming weeks spent free and away from school. I still enjoy those calming images...and then I turn around and realize, I'm not the one who is supposed to be enjoying these months, my kids are. But often these days, I find myself chained to my desk, trying to fit in my freelance writing business in the midst of my own kids camp, complete with 8-, 5- and 2-year old children running circles around me. While I love being a mom, I dislike the constant battle to find the elusive, amoeba-like balance for a family. Balance such as slowing my marketing as we neared the end of the school year. Or the balance that precludes any of my fiction writing while I winnow down the paying assignments. I left my job to stay home, take care of the kids and write. And while balance can be tricky (which is why I'm awake at 4 a.m. on days when the kids' swim meets will run into the night), I also tend to be more lax and willing to put movies on that will entertain, nonchalantly checking the running time. "Great, an hour and 15 minutes? I can get at least get started!" Sometimes it works well, sometimes I find myself drifting through the Internet when I last remember writing a blog post. 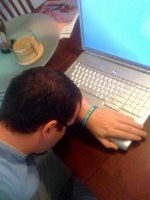 Asleep at the keyboard, again! I'm fortunate that I am able to work through how to start a draft while I make lunch or that I have some good friends who take pity on me, helping me to arrange a play date for one or two of my kids. Or that I can often mine daily struggles and write something about them. However, there are days when I wish I could slow down and just enjoy my life as a mom, not only my life as a freelance writing mom. Or just maybe enjoy my life as a freelance writing mom who gets to hit the snooze button more often than not. Elizabeth King Humphrey is a certified Kaizen-Muse Creativity Coach and freelance writer who enjoys the bubbly joys of life and parenting. She also blogs at CoastalCarolinaMoms.com and TheWriteElizabeth.com, where she contemplates finding creativity in everyday places. She's going back to bed now...hopefully. Kimberly's adventures of living alone in a hut in the middle of a Costa Rican rainforest for two years, bike riding throughout Japan, conducting research on tropical reforestation, and moving frequently as a wife of a Navy officer certainly fill her carpetbag full of experiences she draws upon in her writing. But it wasn't until she became a mother that the true adventure began. After winning 1st place in a Mom Writer's Literary Magazine writing contest, Kimberly realized one of her writing passions is literary essays on motherhood and writing. In addition to maintaining a blog on this topic, Zook Book Nook, Kimberly is a stay-at-home mom who is working on writing her first young adult novel, children's picture books and articles, and more essays on motherhood and writing. She and her husband currently live on the east coast, where they are expecting their second daughter to be born any day! If you haven't had the opportunity to read Kimberly's story, Elements, head over to the winner's page. WOW! : Congratulations, Kimberly! Elements offers a unique analogy by comparing chemical elements to a relationship. How did you decide to combine the use of chemical elements in your story? Kimberly: As a writer, I find the use of symbols in writing challenging yet thought-provoking. I knew the characters and plot of this story before the idea of chemical elements popped into my head. As I thought about each character and what their personality represented, the idea of using chemical elements as symbols for each character came to mind since the narrator is a chemist. I think symbols add to the imagery of a story, and chemical elements paints a unique type of picture for each character. WOW: It certainly does! What is the symbolism of mercury, magnesium, and manganese? What's the relationship between the three elements? Kimberly: Science uses order and organization to facilitate our ability to communicate. In my story, I used these three chemical elements to help organize the story around "M" chemical elements that are commonly known. Each chemical element has properties that also describe the characters' personalities: Raul's smooth way of sliding into the narrator's life is like quicksilver (the liquid state of mercury), but he also adds a dangerous volatile state to the relationship; Raul's mother is portrayed as brittle and hard, which is characteristic of manganese; and magnesium seemed like the perfect element to represent a child who is light yet strong since it is an element found in a supernova star as well as the human body. WOW: Fascinating! It's interesting how people certainly can resemble the characteristics of a chemical element. You've had the opportunity to live abroad. How did your experience living in Costa Rica play into this story's formation? Kimberly: While living in the rainforest I began to understand the essential elemental basis of life and how it connects us to everything found in nature. From chemical elements to DNA to the complexity of a body struggling to survive, we're all related with all forms of life. This understanding is incorporated into my writing in many ways, and became the backbone of how I formed this story. In addition, I dated a man from Nicaragua for some time and learned a lot from this experience about the challenges of a relationship built from different cultural backgrounds. His family made me feel like an outsider, which eventually affected our relationship. But I wanted to also express the innocent existence of love and compassion found at the core of a relationship, so I chose to use a child to bring that out in the story. WOW: That's so true! Children definitely bring out love and compassion in a relationship. You have a new addition to your family. How do you balance family time with writing? Kimberly: I like this question, because I just gave birth to my second daughter! As a stay-at-home mom I've learned that setting priorities is the key to balancing family time with writing. It's important to me that my children and husband come first, but I personally need time to write to stay healthy and happy mentally, physically, and spiritually. With a toddler and newborn now in my life, I knew my time for writing would become even more limited, so I made a few small goals for myself: (1) write every day if even for only 5 minutes, (2) use my blog as a writing journal, and (3) take a writing course online. Although I do have manuscripts that I'm working on as well, these three goals are ones I keep up with daily because they are manageable and still allow me the quality and quantity of time I want to have with my family. The online course is structured and an investment, so I knew this commitment would not be one I would break and required a set time each week to write. It starts this week, so I'm excited to begin the course! WOW: Sounds like you have established a great routine! That's an important step for all writers. You write a lot of literary essays. What do you see as the primary difference between the literary essay and the short story forms? Kimberly: Good question! When I approach writing a literary essay I think about a particular concept on a philosophical level. I then spin out from the philosophical idea to tangible experiences, objects, and images that relate to the theme or concept. The seed of a short story starts out differently for me. I first imagine a character or an event and expand outward from there, developing a plot, a setting, a climax, and an ending that all tie in with the initial character or event that first came to mind. WOW: Thanks for sharing how you structure a short story. Not only do you write essays, but you recently ventured into the blogosphere.What goals have you established for your blog? What demographic are you hoping to connect with? And finally, what type of information should readers expect? Kimberly: The theme of my blog is "Crafting motherhood and writing together in the same pen stroke." In July 2007 I became a mom for the first time, and by April 2008 I realized I wanted to share my ideas and experiences as a writer and mother with others. The central goal of Zook Book Nook is to think outside the box about the relationship between writing and parenting. I take my daily experiences as a mother and think about how they relate to writing. In so doing, I hope this approach to blogging makes me a better writer and mother. I've found two types of audiences for my blog: some readers are mothers who blog about being a mom and some readers are writers who blog about being a writer. I like having the two different groups of readers, because we all learn from each other. When readers come to my blog I hope the daily blog entries I write will leave them with something new to think about in terms of being a parent as well as a writer. WOW: Great idea! Good luck with that project! I'm sure many parents who are also writers will relate! You are a contest veteran. Any advice to writers who have never entered a contest? Kimberly: I have been fortunate to have two contest writing pieces awarded, but I'm far from being very experienced as a contestant and winner. The only advice I feel I can give is about the approach to take with contests since I'm still in the early stage of entering various writing contests. When it comes to contests, I find myself unusually excited about writing a piece to enter, because I feel like all of the writers are using their creative minds to pool together different ideas or twists on writing prompts or topics. I ask myself what can I offer that is unique and will give the readers a new idea of how to approach the writing prompt or topic. If there is no writing prompt, then I think about the hosting organization's mission or focus and how my story my add to their mission yet give off a sparkle of its own. This approach makes me feel like I am writing with the other contestants instead of in competition with since I hope my piece of writing will give them something new to think about when it comes to writing. Well, I guess that's a lot of advice from someone who said I shouldn't give much! WOW: LOL! You offer a lot of practical ideas for anyone interesting in entering writing contests. Any future projects you'd like to share with readers? What are you working on now? Kimberly: My favorite project is a Young Adult novel I've been writing that incorporates my experiences of living in the rainforest. The focus of the novel is about a young man of mixed cultural backgrounds and the challenges he faces as he tries to find his place in this world. I hope this book will reach teens who struggle with connecting to different cultural groups and nature. WOW: Your YA novel sounds quite interesting. Finding a place to fit in can be extremely difficult. Thanks for talking about your story and your writing experiences. Kimberly: Thank you! I've enjoyed answering these questions, and I appreciate the opportunities WOW! has given me! Ann Whitford Paul, author of Writing Picture Books, Launches her Blog Tour! When an elementary school classmate read Ann's journal--including all the mean things she'd written--it put an end to Ann's first foray into writing. She went back to being a voracious reader, first on her own and then with her children. In a family of four children often the only quiet time was just before bed when Ann and her children snuggled together reading. 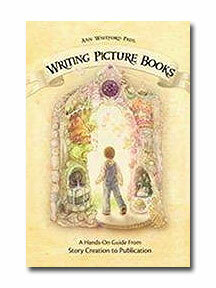 It was those moments that inspired Ann to write books to help other children and adults recreate those cozy times. Encouraged by her family's love of books Ann has written 17 children's books, had her poetry published in several anthology and taught many classes on children's writing. After years mothering her noisy brood Ann enjoys her quiet time. When not reading or writing she revels in quiet while quilting, knitting, doing puzzles or listening to the quiet rumbling purr of her cat, Mr. Darcy. Jane Austen is Ann's and Mr. Darcy's favorite author. Have you ever thought you'd like to write a picture book, but don't know where to begin? Have you been submitting stories, but getting only form rejections? Writing picture books is not easy. Picture books are a unique form of writing with a large audience of 2- to 8-year-olds, and they must appeal to both the adult purchaser and the child listener/reader. They are generally 32 pages long and must be tightly focused and told partly through illustrations. And novice picture book writers make a lot of mistakes--and get a lot of rejections from publishers flooded with inappropriate manuscripts. From this book these writers will learn the writing and revision process that will lead them to creating more salable picture book manuscripts. Ann Whitford Paul covers researching the picture books market, creating characters, point of view, plotting, tips on writing rhyme, and more-all the lessons writers need to write great picture books that will appeal to both editors/agents and young readers/parents. She uses a mix of instruction and hand-on exercises, often asking readers to cut, color and paste their way through revision. This book covers picture book form, structure, language and the business side too. Learn how to revise your manuscript into a polished and publishable story from the award winning author of 17 children's books. If you received our Events Newsletter, remember, we are holding a contest to win a copy of Ann's book, Writing Picture Books: A Hands-On Guide from Story Creation to Publication, to those that comment. So, grab a cup of coffee, pull up a chair, enjoy the chat, and share your thoughts, and comments, at the end. We will randomly choose a winner from those who comment. Enjoy! WOW: Welcome to The Muffin, Ann. We're delighted to launch your blog tour for your book, Writing Picture Books. You've been a children's author and writing teacher for years. What made you finally decide to write Writing Picture Books? Ann: I was, and continue to be, most grateful to the fabulous teachers, Sue Alexander, Myra Cohn Livingston and Sonia Levitin, who helped me along the road to publication. After I'd had several books published, I wanted to thank them by helping others who were just starting out in their careers. I've taught through UCLA Extension (http://www.uclaextension.edu) for over ten years and done lots of speaking and workshops throughout the country and the world. The idea of tackling a book about writing picture books never entered my mind until a student Molli Nickell (http://www.getpublishednow.biz/) encouraged me to do it. I put it off for several years, afraid of the work involved, but with support from many friends and students finally sat down to write it. As with almost all things, it turned out to be easier than I imagined. I loved the process and am thrilled with the results. WOW: Did your experience with Writing Picture Books influence you to write Word Builder, a book about writing with a different audience—children? Ann: It was purely a coincidence that these books came out at the same time. Obviously Word Builder directed to children is much simpler. It compares building a book to building and construction work. I hope it will take out some of the mystery and fear away from those elementary school students when they have an assignment to write their own books. WOW: In Kindergarten this year my son did quite a bit of story writing—with his teachers' help. Each week a different student was "Publisher of the Week." What do you think we can learn from children that will make us better writers? Ann: Children are fantastic observers. They squat down and watch a snail creep across the walk, or pick up a pebble and study its bumpy texture. All writers need to be observers. They need to spend time seeing what others miss and then writing about that in their books. Telling details are what make the reader feel as though they are in the scene unfolding on the book’s page. Also children have a wonder of the world. We adults tend to gloss over things we’ve become familiar with. Capture that wonder by exposing yourself to new places, new experiences and new people. It will only enrich your writing. WOW: When was children’s book publishing a new experience for you? How has it changed since then? Ann: My first book Owl at Night was published in 1986 at a time when the poor illustrator had to do color separation art. It must have taken her ages. Back then I submitted everything via snail mail. Now e-mail and fax have saved time and money submitting. Obviously in these tough financial times, it's much harder to sell a book. Maybe that's a good thing. Maybe only higher quality books will make it to the bookstores. Unfortunately, the time editors can spend on editing has also been drastically cut and many editors have been laid off. This is not a good turn of events as their expertise is critical to producing strong and compelling books. A lot of these laid off editors are now working as agents and I notice a trend toward agents doing the editing work that publishing houses no longer support. WOW: Any secrets to getting a children's manuscript accepted by a publisher? Ann: To get a children's manuscript accepted by a publisher today, it must be unique and have a strong voice and character. Picture Book texts must lend themselves to interesting and varied illustrations. Quiet books and mood pieces are harder to sell now, but fear not. Especially in these hectic times, books that encourage contemplation and peace will eventually be back in demand. While times are tough, it would behoove writers to focus on their craft. Read as many books in your genre and about your genre. Enjoy the process and when things turn around, submit nothing but your very best work. WOW: As a children's author you've participated in your share of public appearances. Any advice for those of us who get performance anxiety? What makes an appearance go smoothly? What makes it more enjoyable for the children in your audience? Ann: I am no stranger to performance anxiety. But that's not a bad thing. It usually inspires you to work hard making sure your talks are good. Personally, I don't think you can ever over prepare. Remember that your audience is giving up their precious time to listen to you. Make sure you give them something new to take home with them. For those of you who (like I used to do) start to tremble when speaking or feel sick to your stomach, the good news is that it passes. Pausing for a deep breath helps a lot and the more you speak in front of children and adults, the more comfortable you will feel. One thing that helped me was to remind myself that whenever I spoke, I wouldn't do it perfectly. Wanting perfection will only increase the pressure you put on yourself and also it's impossible to achieve. It's easier and more helpful to consider each presentation, not as you being showcased, but as a learning experience. That way you always do well, because you always learn something about what to do in the future. Every time I present, I ask the audience for feedback. When speaking to children, try to involve them in the presentation. Children like to act out books and they also love to sing songs related to your book. This morning I stayed for story time at my granddaughter's preschool. The teacher stopped frequently to ask the children what they thought, or to get opinions, or to listen to their stories. She was wonderful. Visual aids are also helpful. I’ve made a quilt about my writing process that you can see on my web site at http://www.annwhitfordpaul.net/ProgramsSchools.html. You can download a picture and the explanation of each square. For the much younger children, I often bring stuffed animals. WOW: That's fantastic advice! So, what's coming up next for you? Ann: I was surprised how much I enjoyed working on Writing for Picture Books and am in the middle of another writing book that has less to do with technique but more about the life of being a writer. I write every day and am currently revising a collection of poetry and several picture book manuscripts. Hopefully you'll see one, or some of them, in a bookstore in the near future. WOW: Thank you, Ann, for taking time to chat with us today! We wish you the best of luck on your tour for Writing Picture Books. Want to join Ann on her blog tour? Check out these dates and mark your calendar! You can also snag a copy of WOW's Events Calendar HERE. Ann chats with WOW! Women On Writing at The Muffin. One lucky commenter will win copy of Ann's book! Ann stops by Zook Book Nook for an author interview and book giveaway contest! She's giving away 2 books! Be sure to stop by and comment for a chance to win. Authors have no time (or words) to lose. Ann stops by Donna's Book Pub to teach us how to "Grab Your Reader from Word One." Not to miss! Walking the tightrope, eating cotton candy for dinner, dealing with clowns--we've all been there! Ann stops by Ann-Marie Nichols' blog, A Mama's Rant, and gives her take on the writing life with the post: Welcome to the Circus: Juggling Family and Writing. Stop by Margo L. Dill's blog, Read These Books and Use Them, to hear Ann's advice for writers of all ages. For adults, she wrote Writing Picture Books, and for children, the picture book Word Builder. With over a dozen books to her name and years of teaching, Ann's learned a few things about children's writing. 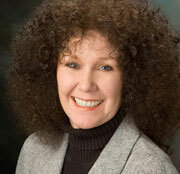 Today she stops by Cathy C. Hall's blog, Finders & Keepers, to share her top five writing tips. 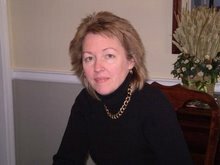 Stop by the WordHustler blog today and find out how Ann Whitford Paul became and award winning children's book author! WordHustler's interviews are fantastic--not to miss! Kristi Holl, children's book author and teacher at The Institute for Children's Literature, reviews Writing Picture Books. If you're interested in children's book writing, be sure to check out this fabulous blog! Ann stops by Samantha Clark's blog, Day By Day Writer, to share her expert writing advice. We may have more dates to come, so be sure to check out our Events Calendar HERE to keep up with the latest. Oh, be sure to comment on this post to enter in a drawing for a signed copy of Ann Whitford Paul's excellent book, Writing Picture Books: A Hands-On Guide from Story Creation to Publication. I came across this quote from Alissa Augustine, a Native American deejay, while reading Language Is A Place of Struggle: Great Quotes by People of Color, edited by Tram Nguyen. Here’s a quick check-up to see how Ms. Augustine’s words can be applied to writing. Focus. Making the time to actually write. Researching markets. Taking classes to acquire new skills and sharpen existing ones. Tightening dialogue. Getting out to network with fellow writers. That means putting down the remote when the new season of your favorite show’s starting. Or when your social networks are calling. Even when you’re about to reach a juicy section in that fab book you’re reading for pleasure. Intensity. Do you live and breathe writing? Are you excited when you pick up a pen or turn on the computer, because you’re about to do your favorite thing? You can’t be lukewarm in this business and succeed. Well, you can, but do you really want that? Perseverance. Are you willing to stick with your writing when the only thing you’re producing is blank pages? How about when the naysayers outnumber the supporters? And when the income is less than the outgo? Press through that wall. The ending to your novel might be waiting on the other side, along with payment from those articles you submitted weeks ago. Believing in yourself. It’s a continual process. But if you don’t think you can be a successful writer, how can you expect anyone else to? Look at the quote again. Are you willing to pursue the writing life 110 percent? Here it is my birthday once again and boy, has my life changed again! Over the past year, I personally have had a lot of changes happen in my life. These changes have affected my writing drastically. Which, I had promised myself at one time wouldn't happen. Well, like many of us, other issues in my life had taken over. A good example of this is the starting of a new family business, then it closing. In between, I would spend time trying to find writing jobs that could help pay the bills. I felt my writing was becoming a necessity in my world and not something I truly enjoyed doing at the time. I ventured out to find writing jobs that I knew I could do and would make me a few bucks. Most of the jobs were for advertising furnishings or something similar. It at least helped to keep my writing skills up to some degree. At least that is what I told myself. During this evolution, I feel I managed to lose some really good friends in the writing industry, I feel as if I have some how made people mad at me and now, I have to try and regain those contacts once again. The fun now begins to get my "Groove" back within the writing community that I love so much. But, now comes the over whelming feeling of not knowing how to begin. About a week ago, I attempted to get a hold of some of my contacts, people who I wanted to help. Those who I know are here to help all of us, I wanted to begin to be a part of that once again, alas, I feel that part of my "Groove" may be failing because of the lack of attention I have been able to give to my writing and those that I have worked with in the writing community off and on for the last few years. If you are like me, trying to find your "Groove" again, it is very difficult, it is hard because of many different issues--it could be because of schedule changes, life change and so much more. But, the point is to TRY!!!! Don't rest and let it pass by you, grab a hold and drive yourself as much as you can to find your way once again. Some of the ways that I have been getting my "Groove" back, may help you. 1) Go back to setting yourself up with a normal writing schedule. Even if it is for only 15 minutes, grab that time and use it to your best advantage. You and your writing deserve that time! 2) Get a hold of contacts that you once worked with, apologize, let them know you are trying to find your way once again and that you truly want to help. Ask what you can help and hope they will respond. (I must admit, for me this has been extremely difficult to get responses.) I have been in tears because I have felt I neglected a bunch of people due to my "life" changes. 3) Review what you like to write about, what is your niche. Find ways to get back into it. There are still a lot of different companies out there that are very interested in many aspects and more. With the recent turns and twists with our economy, it is nice to know that reading a book is one activity many people turn to as an economical way to relax for themselves or even for their families. 4) Try and keep a notebook with you, a small one works great to keep in your car. When you get an idea, write it down. Going to the doctor, while your waiting, take the notebook in with you, and WRITE!!! It doesn't matter what its about, JUST DO IT!!!! 5) Continue to put forth effort to contact people, get reacquainted with different sites for example; right here at WOW!. Find out what is new, if you belong to the PG, see what everyone has been up to. I realize that not only for me but for the many that have lost their way in the writing community, it will take time. As we have all heard, "Take Baby Steps" it will be easier, you don't want to take on more than you can handle. You may wind up right back where you were just left off. For all of you out there that have received my e-mails, I know you are probably extremely busy and are working hard to keep up with everything in your lives as well, please remember that there are a few of us that are trying to help be here for you! Once again! Rain, Rain, Oh Please, Go Away! I just do not understand. If so-called classics can start with an opening sentence like Poe’s The Raven and continue onto another sentence, why is it that my writing lately is stopping after the first sentence? Oh right, it is the weather. The weather sets the mood for those works, while it dampens my mood in front of the computer. Honestly, I spent a few years in Florida and experienced the summer rains. I also traveled in Central America and had to retreat out of plenty of storms. My life has even taken me to London, a city notorious for the fogs and the rain described in the classics by Conrad, Eliot, etc. Those three months actually had me to the point that I rarely even opened an umbrella unless it is a long walk in a very cold downpour. One of my favorite smells is the air and damp ground immediately after a heavy downpour. In short, rain rarely fazes me, but right now in Pennsylvania, it is wrecking havoc on my writing schedule. I just cannot fathom typical life in Seattle as a writer. This is only about the third week of daily storms, and I swear it is playing with my prose. In the beginning, it was great. No outdoor distractions were possible and after the great night’s sleep (as rainstorms put me into such a restful slumber), I was focused. It was perfect, foolproof. Freelance writing, no problem. Blog posts, a cinch. I even pitched an idea to a professional newsletter and received a receptive and enthusiastic yes. Then, the rain continued. By yesterday, I found myself with a little bit of writer’s block and a lot of restlessness. A restlessness where all I wanted to do was to go outside -- to a park or for a walk, just for a stretch of the mental and the physical capacities. However, the rain just would not let up at all! Writing was a futile effort, so by mid-afternoon, I gave up with my ambitious goals and set new ones just so at the end of the day, when my head hit the pillow, I could say, okay, so today, I was not completely useless. It consisted of assembling templates for a new batch of freelance writing pieces, finding some research links, but next to no writing at all. Today, however, I am going full-speed again, taking advantage of the quiet house with others still asleep and with the end goals in mind. In short, I am making myself a mental image of the sun, because according to the forecast, the rain is here for at least another week and a half, and that is not going to stall my deadlines from approaching and passing. My thought is if I find other ways to satisfy myself, maybe I won’t notice how it has been raining continuously since last night; if the rain gets too loud and reminds me of how dreary today is, I have the iPod ready to go. I am just too eager and too otherwise ambitious to let the weather disturb equilibrium for a second day too; in other words, stubbornness better be a good raincoat, or I’ll be in trouble! Ultimately, I only wish I knew what those in Seattle or those classic Londoners did when it came to blocking out the weather. Hoping the forecast for all of you serves you better when it comes to having a productive writing day! If you have some tips for “water-proofing” a writing schedule, do let me know! When I was a teen, I had an aversion to using “said” in a story. It was blah. It was ordinary. It was pedestrian. Why use “said”, I thought, when there were so many words that were way more expressive? Throughout high school English classes, my characters squealed, pontificated, reflected, mused and accused. As if that weren’t enough to liven up their dialogue, I was also generous in my deployment of adverbs. After all, who’s going to be a scarier villain: the one who “growled menacingly” or the one who said, “If you don’t give me the money, I’ll kill you”? By the time I started publishing my work, I was fortunate to have editors who pointed out that the habit of euphemizing the word “said” was to the detriment of the actual dialogue. Its quiet obscurity, they pointed out, was what allowed readers to skip over it and pay attention to what the characters were communicating. Throw a word like “elucidated” into the mix and it either sends a reader running to the nearest dictionary or colors her view that the author is a snob. As a screenplay consultant, I read a lot of scenes where writers have tried to explain exactly how a line should be delivered. This is problematic on two counts. The first is that actors don’t like being told what to do by anyone other than directors. Secondly, many of these instructions defy comprehension. How, for instance, does one “blanch uncontrollably”, “smile successfully” or “swear gracefully”? Listed below are the most common – as well as some of the most bizarre – parentheticals I’ve encountered. At the end of the day, sometimes “said” isn’t such a bad thing after all. Former actress/director Christina Hamlett is an award winning author, ghostwriter and professional script consultant whose credits include 26 books, 128 plays, 5 optioned feature films, and hundreds of articles and interviews. Her latest release, Movie Girl, is the launch book of a new humorous fiction series targeted to teen and tween girls. To learn more, visit her website at www.authorhamlett.com. *** Christina is also a WOW! Women on Writing Classroom instructor. Sign up now for her six week online course, SEE YOU AT THE MOVIES: An Introduction to the Craft of Screenwriting. *** For information on all of our current classes, please visit the WOW! 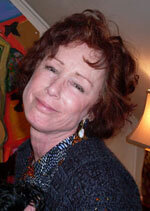 Women On Writing Workshops & Classes page. What a treat for The Muffin readers today--an interview with 2nd place flash fiction contest winner, Theresa Mae Leitch. Her winning story, "Mommy's Here," is the story of a new mom, trying to get her baby asleep and fight her addiction to cutting. If you haven't had a chance to read it yet, you can do so here. Since I was a kid, I’ve been writing stories and ripping them up before anyone could see them. Now that I’m in my 30s, I’ve finally got the ovaries to share my work with others. It’s amazing what a fun career, two amazing kids, a loving partner and a prescription for Prozac can do for one’s confidence. Besides, I’m finding that it’s a lot harder to rip up my stories now that they’re on a computer. I have a weird but enjoyable job as a lawyer who runs a library and implements knowledge management initiatives at a large Canadian law firm. In between work and family, I’m polishing my first novel and trying to learn about the crazy world of publishing. WOW: Congratulations, Theresa, on your 2nd place win. Your story of a woman who uses cutting to get through raising her baby is so realistic and heartbreaking. What made you want to write this story? Theresa: Thank you. I'm really excited about placing second, especially since this story means a lot to me. I find it fascinating how self-destructive acts can seem utterly logical to someone who is suffering from mental illness, and I wanted to explore that. Depression is a horrible disease, all the worse because it affects the way you think. Often, the sicker you are, the harder it is to figure out that you need help. My character needs to take care of her baby, and cutting lets her do that. So to her, it makes sense to do it. Why get help? It's all under control. WOW: You portray that very well in your story--how relieved she is when she finally cuts and how normal it is to her. You did a fantastic job! How hard was it to put such a gripping story into so few words? You manage to tell us a whole story and let us into the character's life. Theresa: That's a terrific compliment, thanks. It was tough keeping the word count so low, but what a great writing exercise it turned out to be! Flash fiction really makes you pause and ask yourself if you really need that sentence or that adverb. I've seen an improvement in my longer fiction as a result. Theresa: It's how I deal with everything! Humor is the best defense mechanism in the world. I do try to incorporate some humor into my writing here and there. WOW: So true--humor can help us in our everyday lives, too. Your bio also mentioned that you used to rip up your stories. What made you decide to finally start letting other people read your work, including entering it into contests? Theresa: I got an iPod. Seriously! A couple of years back, I made a big change in my life. I left practicing law to become a knowledge management professional. It's a fantastic job; and although there are stresses and occasional bouts of overtime, I have a lot more time for myself after work and family. That got me writing again, in a way I hadn't had time for in many years. Then I bought the iPod; and at work one day, I was listening to one of my desert island albums (Haunted by Poe). I was struck by the lyrics to a song called "Walk the Walk:"
I don't want my kids to be able to say that about me. WOW: Those are powerful lyrics, and I'm sure many people reading those are thinking the same thing that you said about your own children. Isn't it strange how an almost unrelated event--getting an iPod--can change the course of your life? Tell us a little about your novel that you are polishing. Theresa: It's a suspense thriller. Ally Stone is a serial killer who believes that she's the reincarnation of Medusa, destined to protect women from the men who abuse them. But she's not always right about the guilt of her victims. I've put the first draft aside for a while so I can go back to it with fresh eyes; and in the meantime, I'm outlining a YA novel about a girl in love with a soul condemned to eternally walk the earth, and her fight to free him from his condemnation. WOW: Those both sound fantastic. I love the plot for the suspense thriller, especially that the serial killer believes she is Medusa. Very interesting! What is your writing routine like since you are juggling your writing and a career as a lawyer? Theresa: I do a lot of prep-work away from the keyboard. I imagine the scenes I want to write about and daydream myself as the different characters. I do this all the time - on the streetcar, when I'm watching Kung Fu Panda with my sons (for the millionth time).Then, when I sit down to write, I have a really good idea of what's happening in the scene and why, which allows me to bang it out pretty fast. When things aren't too busy at work, I'll do the physical writing at night four or five times a week. Other times, I'll only get an hour or so every few weeks. WOW: It sounds like a plan that is working for you, and we hope it continues. Thanks again for talking with us today, Theresa. We hope to read more from you soon! 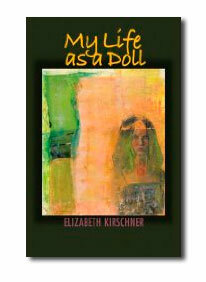 Elizabeth Kirschner, Author of My Life as a Doll, Launches Her Blog Tour! Elizabeth Kirschner has published three books of poetry, Twenty Colors, Postal Routes and Slow Risen Among the Smoke Trees all by Carnegie-Mellon University Press. Her chapbook, The Red Dragon, was published by Permafrost, and My Life as a Doll was published by Autumn House Press. In addition, she has a CD released by Albany Records wherein her own poetry, not a translation, has been set to Robert Schumann's Dichterliebe. Now titled The Dichterliebe in Four Seasons, it premiered in Vienna in the fall of 2005, followed by an American debut in Boston featuring soprano Jean Danton accompanied by pianist Thomas Stumpf. She has collaborated with many composers and taught at Boston College for over a decade. Kirschner also studied ballet with Boston Ballet. She now lives in a house on the water at Sea Cabins Retreat in Kittery Point, ME. If you received our Events Newsletter, remember, we are holding a contest to win a copy of Elizabeth Kirschner's My Life as a Doll to those that comment. So, grab a cup of coffee, pull up a chair, enjoy the chat, and share your thoughts, and comments, at the end. We will randomly choose a winner from those who comment. Enjoy! WOW: Welcome, Elizabeth. Congratulations on the publication of your memoir, My Life as a Doll. I'm sure our readers are excited to learn more about you, your book, and your writing background. Let's get started. One goal of the memoir is to tell the deepest truth. You definitely achieve that goal. Why is it so important to capture that truth and share it with others? Elizabeth: My Life as a Doll gets at some brutal truths. It is deeply concerned with the retrieval of memory then transforming it, via the alchemy of art, into poetry. The catalyst of this book was spurred by a sudden and violent assault by memory. In it, my mother was whacking the back of my head with a baseball bat. I was only three or four years old. This memory lead to the denotation of other ones thus making My Life as a Doll a survivor's tale about abuse, madness and recovery. The writing of the book was an act of salvation meant to redeem others who are keeping their stories secret. That I survived my childhood is a miracle, that I wrote this book is another one. I bare such brutal truths because my words can help heal the wounds that so very many bear. WOW: Words play such an important role in the healing process. The first element of style that captured my attention is that you chose to write your memoir in verse. What lead to that decision? Elizabeth: First and foremost, I am a poet. I needed the compression of language, its insistent rhythms and music, to craft the harrowing narrative the book chronicles. The short story writer Raymond Carver once said, "Get in, get out, get your pain over with." Brevity is all. I wanted to make My Life as a Doll so violently compelling that a reader could plunge through it in a single sitting. WOW: You've achieved that goal! Once I began reading, I couldn't put it down. I wanted to know how this young girl will survive and what her future holds. As a writing teacher, the use of symbolism is extremely important. While I'm reading My Life as a Doll, four separate doll visions come to my mind: a toy doll, a blow up doll, a Cinderella or princess doll and finally, a broken doll. Talk a bit about the symbolism of the doll in your memoir. Elizabeth: When I first remembered my mother's violence, I also recollected a poem I had written in graduate school titled, "The Doll Collection." I pulled out that poem and worked the memory into it. Abuse turns the abused into objects. Dolls are objects. Children play with dolls, but I became one—hence a toy to be toyed with, a blow-up doll that pops back up when punched, a half mad Cinderella doll, a broken doll which was what I was as a broken woman. I was treated like a thing, thus became one and turning back into flesh and blood was exceedingly painful, but if I did it, anyone can. WOW: And we're so lucky that you were able to reclaim your life and examine it honestly. My Life as a Doll contains such vivid imagery. Which comes first: the image or the theme to tie together poems into a collection? Elizabeth: I am a lyric poet, hence the image and the music it employs comes first. The interrogation of images and metaphor reveal subject matter for me. I never go into a book with a pre-conceived notion of what it's about. When narrative asserts itself, I ride that pulse. I learned quite early what Flannery O'Connor termed "the habit of art." I write everyday, including weekends, making process rise out of practice. WOW: That's great advice for our readers to follow, too. Thank you for sharing it. The publisher of My Life as a Doll, Autumn House Press, promotes poetry and its continued teaching. Have you worked with other small presses? What was the publication experience like with this publisher? What can authors learn from your experience with the industry? Elizabeth: All of my books, with the exception of My Life as a Doll, have been published by other small presses. I courted Autumn House for years before this book was taken. The publisher, Michael Simms, is a brilliant editor and true visionary. The publication experience was exquisite, but it's only the first step. Writing is a labor of love, but so is getting a book out into the hands of real readers. Not every book is meant to reach the light of publication. I have had work rejected many, many times, but persevered in spite of it till I trained myself to reject the rejections. I think that’s essential to one's survival as a writer. WOW: Very true. Writers must learn to push those rejections aside and continue writing. Elizabeth, not only are you a talented writer, you also have experience with another creative art: ballet. I had a dance instructor who said "Ballet is poetry in motion." How has dancing influenced your poetry? Elizabeth: Early on, a teacher told me that ballets uses all four quadrants of the brain at once. I believe poetry does, too. Ballet has trained me to use my body as an instrument of expression. So has poetry, but the instrument is primarily that of the voice. Both require an intense focus and a profound musical sensibility. I have written that poetry is the dancing lyric that sings as it blooms. That feels right to me. WOW: Such a beautiful analogy between two creative processes! You also find time in your schedule to promote writing. Recently, you started a mentorship program called: Wise Eye: Creating Poetry That Soars. Talk about your program and what you hope to accomplish. Elizabeth: All poets need to be mentored, but I think this notion has fallen along the wayside, perhaps become a little old-fashioned. In the realm of the classroom, we teach, most certainly teach, but there isn't enough time for true mentoring to occur. I'm profoundly engaged with the desire to nurture poets over time, one on one, to give them as Juan Ramon Jimenez says of the poem, roots that fly and wings that take root. This means cultivating the entire sensibility. I want to enrich other writers with the riches I've garnered from both practicing and teaching my art for more than three decades. I have a highly trained eye, therefore a wise eye that can look into the depths of the poem which came from the depths of its creator. I was mentored, and now, in the fullness of time, I want to return the gift. WOW: That's a wonderful idea! It's so important for writers to have someone who can serve as an honest sounding board and guide them through the process. For many writers, examining a specific time in one's life raises awareness of global problems while bringing it to a personal level by building a bridge of intimacy with readers. What do you want readers to take away with them after reading your memoir. Elizabeth: There is a huge population of trauma survivors out there. My hope is to reach some of them, instill a genuine feeling that they are not alone. By telling my story I'm giving voice to many stories. Abuse, mental illness is very real and still taboo. Damaged goods can be durable goods and no one should be annihilated by the violence of violation. If abuse and mental illness is real so is the power to heal. Louise Gluck has a wonderful line that opens her book, The Wild Iris, which reads: "at the end of my suffering/ there was a door." I want my book to be such a door, an inwardly opening one that at last, alas, lets the light in. WOW: Powerful sentiments! You will open the door for many of your readers. Thank you again, Elizabeth, for talking about your work, your words, and the power of creative expression. Want to join Elizabeth on her blog tour? Check out these dates and mark your calendar! You can also snag a copy of WOW's Events Calendar HERE. Elizabeth chats with WOW! Women On Writing at The Muffin. One lucky commenter will win copy of Elizabeth's book! Elizabeth stops by Carolyn Howard-Johnson's blog, The New Book Review, to share a great review of My Life as a Doll. Elizabeth stops by C. Hope Clark's blog to share an excerpt from My Life as a Doll. Poetry lovers are in for a treat! 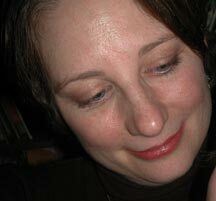 Elizabeth stops by Allen Taylor's blog, World Class Poetry Blog, to chat about her love for poetry. These two fantastic poets are bound to spur an interesting discussion. Not to miss! Elizabeth stops by Joanne DeMaio's popular blog, Whole Latte Life, to chat about the connection between poetry and music. This should be an inspiring post! Join in on the discussion. If you dread public speaking, this is your day! Come learn from an expert on the subject. Elizabeth stops by Beth Morrissey's blog, Hell or High Water, and shares her tips for surviving public appearances--even making them fun! Not to miss! Are you working on a manuscript based on your life, but unsure whether to publish it as a memoir or fiction? Sometimes it's better for those family skeletons to stay in the closet. Today Elizabeth stops by Cathy C. Hall's Blog, Cathy C.'s Hall of Fame, and discusses the choice NOT to publish a written memoir. Come and weigh in on the pros and cons of this interesting topic! Elizabeth, who can claim the titles of poet, musician, and dancer, stops by Donna Volkenannt's blog, Donna's Book Pub, to tell us the advantages of having a creative force that crosses boundaries. And book giveaway comments contest! Stop by and comment for a chance to win a copy of My Life as a Doll. Elizabeth stops by Mary Jo Campbell's blog, Writers Inspired, for a surprise guest post and author interview! Be sure to stop by for this fun day. Oh, be sure to comment on this post to enter in a drawing for a signed copy of Elizabeth Kirschner's memoir, My Life as a Doll. What happens when you go a day without laughing? C'mon, be honest. You can't do it. Even in the darkest of times, something triggers a reaction that causes us to laugh, even if the laughter is expressed only inside us. For the next seven days, I'm embarking on a journey with 10 students as they discover their inner humorist, define their improvisation techniques, and develop humorous writing skills. It's part of the Great American Comedy Festival, a week-long festival saluting the best in the world of comedy, live from the hometown of Johnny Carson. The great part of being the director of the comedy camp is that I, too, get to learn about techniques of comedic timing from our renowned instructors: Second City and the San Francisco Comedy College. For writers, humorous writing tends to concentrate on creative essays or clever articles that provide that moment where readers utter "Ha!". But those of us who write humor articles can learn a thing or two by expanding our repertoire and stepping outside our comfort zone. Consider taking a class in stand up comedy, where the structure of a joke is explained. It really can help when you're writing that punch line in an essay. What about sketch writing? Sure, you may not end up being showcased on a comedy channel, but sketch writing teaches you to bring unlikely elements together in a format that makes sense. And those are techniques ALL writers can benefit from. This week will undoubtedly create multiple cackles, produce several snickers, and generate many guffaws. I've got to get my suitcase packed. I don't want to miss a minute, because seven days without laughter makes one weak. Reduce. Reuse. Recycle. We’ve heard the mantra; we’ve seen the recycling symbol, three arrows comprising a circle. Going Green has never been so in vogue as we incorporate it into our lifestyles. Yes, even the writing life. When I’d first started writing, a common credo in the manuals and how-to books was “Write what you know.” The concept draws upon our experiences, our ideas, our lives, giving plenty of fuel to our words. And so I did. After turning forty, I noticed friends and acquaintances who, turning the corner on that milestone birthday, celebrated with girls’ weekends out. Most of these involved trips to Manhattan, with a Broadway show, dinners, shopping, manicures. Together they celebrated a new chapter in life. So I wrote what I knew. My fiction manuscript utilizes a Manhattan girls’ weekend out as the story’s springboard, taking off from there. After completing that manuscript, the Recycling process began … Reduce. Oh did I reduce. Manuscript revisions resulted in the elimination of several thousand words. Not a one went to waste. Each word had an efficient function in moving the story forward. Author Joyce Carol Oates says that “The daunting task for the writer is: what to include? what to exclude?” I’ve gotten reducing down to an art form. My writing continued Going Green as I moved to the second step … Reuse. The essence of my story explores keeping our passions alive. It’s important to have our heart’s desire central in our days. I wrote this at a time when I was doing the same in my own life, trying to make writing central. Eventually, I’d penned a complete manuscript. Like my main character, I had finally become what I’d dreamt of being—a writer. Talk about efficient Reuse. My words informed my character, and they informed me as I simultaneously explored our journeys. Our dreams became reality in sync. My words did double duty! And now it’s time to Recycle. I’ll take what the writing process has taught me and share it with you. Yes, write what you know. Then take it further. Write what you dream, what you wonder, what you long for. Through your stories and your characters, find your heart, discover your purpose. If it’s gardens or home or photography or horses, let your writing lead you there. Reduce through revision. Reuse your passion simultaneously on the page and in your life. Make your characters’ triumphs, successes and journey parallel your own. Then Recycle, sharing the outcome with others. Joanne DeMaio is a published writer with freelance credits that include The Hartford Courant as well as literary journals. She maintains Whole Latte Life, a blog about living a full, choice life, keeping your passions close, and the rewards of doing so. Joanne lives with her family in Connecticut.